As a tuition-driven institution, Hampshire is accustomed to financial pressures, which in recent years have grown due to declining college enrollments and rising costs that affect all small liberal arts colleges (half of which, some have predicted, will fold or merge in the next two decades). 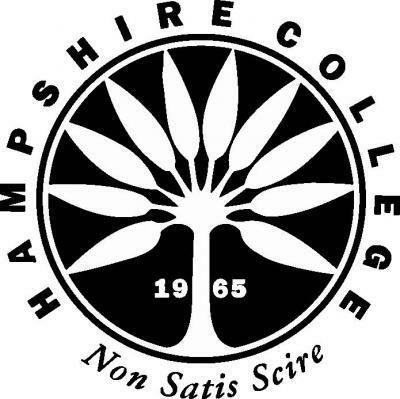 For these reasons, Hampshire’s President, Miriam Nelson, announced on January 15, 2019 that the college would seek a “strategic partner” to ensure its long-term viability. In principle, Hampshire faculty are not averse to this idea. Yet all of us (faculty, staff, students, and alums) were blindsided by the sudden announcement not only that Hampshire would be seeking a strategic partner but also that the college may not admit a Fall 2019 class. These decisions were made without consulting the faculty (including the academic deans) in a process that violates the model of shared governance that has been so important at Hampshire and in American higher education. For a tuition-dependent institution, the lack of consultation on this issue has been particularly troubling. President Nelson argues that admitting an F19 class would pose significant ethical problems and risks violating regulations that have been proposed at the state level. The President maintains that it would be unethical for Hampshire to admit a cohort of students that it cannot promise to graduate according to the academic program under which they were admitted. The regulatory issues stem from consumer-protection lawsuits filed by students at Mount Ida College, which abruptly closed last year. Violating these ethical principles and government regulations, the argument goes, could threaten Hampshire’s accreditation, which would be a disaster for the college and hamper the search for a strategic partner. Yet Hampshire faculty are not convinced by the ethical argument, given that students could enroll fully aware of the situation. This option was enthusiastically endorsed by a group of Early Action admittees, who, in a statement to the college, wrote that they are excited to be a part of the college during this time of transition. On the legal front, there is significant uncertainty about the upcoming regulations, as they have only recently been proposed and their future and the shape they will eventually take is far from certain. Furthermore, issues involving accreditation actions are complex, taking multiple factors into account. For these reasons, we believe the President’s announcement was premature. If the President and Board decide not to admit an F19 class, the total enrollment at the college will decline by at least 30% (leaving aside the number of students who transfer due to uncertainty about Hampshire’s future). President Nelson has declared the college’s commitment to graduating all current students according to Hampshire’s current academic program, and to retaining only those faculty and staff that are necessary to do so. This means that no member of Hampshire’s faculty, irrespective of their contract, is guaranteed employment beyond June 30, 2019. The employment of staff, who work without contracts, is even more precarious. In response to these announcements, Hampshire faculty are considering various strategies to retain as many faculty and staff as possible. It is conceivable that a partnership or merger will enable the college to ramp up again within a few years. Yet the example often mentioned by President Nelson – Wheelock College’s recent merger with Boston University – does not bode well, given that this merger resulted in large-scale employee layoffs. Interesting proposals for a merger have been made by persons outside of Hampshire’s current leadership -- including a proposal by a senior Five College administrator that Hampshire be folded into Five Colleges Inc. Connections with Five College faculty, programs, and students have been integral to Hampshire’s pedagogy; and we welcome suggestions about how we might preserve this collaboration in the face of an uncertain future. Decisions about these issues are of crucial importance to the future of the institution we love and to our own futures as well. Yet faculty and staff have been excluded from all relevant discussions and decision-making on these matters. Those privy to these discussions have been required to sign nondisclosure agreements, which the American Association of University Professors (AAUP) considers a violation of academic freedom and completely inappropriate in higher education. The Board of Trustees plan to vote in the coming week on whether or not to admit a F19 class. Along with many alums, we have asked the Board to delay the vote and commit to including faculty and staff in all deliberations about the future of the college from now on. In the meantime, Hampshire faculty are busy teaching their classes, advising students, and keeping up with research obligations, uncertain of whether or not they will have a job beyond the end of the semester. This is the situation as it stands right now. We will continue to update you as events unfold. Once again, we want to express our tremendous appreciation for your support, and welcome any ideas, proposals, and solutions you might have to offer.